At the Wolfson Law Firm, we help people injured in Uber accidents. We also represent individuals hurt in Lyft car accidents. 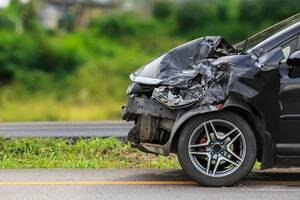 Our Plantation Uber accident attorneys and Plantation Lyft accident lawyers offer complete personal injury legal representation to drivers, passengers and anyone injured in an Uber or Lyft car accident in Plantation or in Broward County. Call us toll-free at (855) 982-2067 or at (305) 285-1115 and let us answer your questions. We have offices in Fort Lauderdale, Miami and West Palm Beach where you can visit us by appointment. The land that would eventually become the City of Plantation was bought by Frederick Peters in the early 1930s. Master Planned by Russell Pancoast, the city was developed to be efficient, unique and industrial. Municipally incorporated in the early 50s, it grew from a modest population of 500 to the thousands we see today. Plantation’s name originates from the Everglades Plantation Company which owned the land prior to its purchase by Peters. One of the main roads in Plantation, Peters Road, was named for Frederick Peters. The city of Plantation resides in the middle of Broward County with a population of approximately 86,000 people. It has had several notable businesses and organizations, like Magic Leap and Motorola. With over 38 thousand households and a median income of about 80 thousand, it provides many different amenities. These include shopping centers, malls, parks, golf, and other recreational facilities. It is fortunate that the Legislature in Florida is seeking to eliminate local control over Transportation Network Companies such as Lyft and Uber. Until now, these companies needed to negotiate separately with each county and sometimes towns. As of now, the state mandated insurance requirements remain in effect. However, our Uber accident attorneys suspect that at some point, these TNCs will attempt to reduce the policy limits required in an attempt to increase profits. Our Plantation Uber car accident lawyers stay up-to-date on all potential legislative efforts that might affect their present or future clients. If you are injured in a Plantation Uber accident then you should give us a call so we can bring you up to speed on your rights and potential recovery of damages. Although Uber takes most of the headlines, Lyft remains on the scene as the number one competitor. In fact, Lyft recently launched a marketing campaign to increase its share of the market. This effort was based in part on the trouble that Uber has had in the public relations arena. No matter what you do after any accident, make sure you stand up for yourself and fight for your rights to full, fair and complete compensation. You and your family should never have to shoulder the burdens of lost wages and medical bills when caused by the negligence of another person or corporation. The Plantation personal injury lawyers and Broward accident attorneys at the Wolfson Law Firm have served the people of South Florida since 1963 and they are here to help you too. They know what to do to help you and your family get through the tough times that follow any accident related injury. Call today for your free consultation at (855) 982-2067 or at (305) 285-1115. Our personal injury attorneys help the folks of Plantation, Broward County and all over South Florida including Sunrise, Fort Lauderdale, Davie, Hollywood, Weston, Pembroke Pines, Miramar, Coral Springs, Wilton Manors and Margate.